The girls varsity swim team competed in Madison for the state competition and placed 26th overall out of 48 teams on Saturday, Nov 10. The team had six state qualifiers, which is the most Homestead has had in the past four years. Leah Tunney, senior, swam the 200 freestyle and placed 11th. She additionally placed 6th in the 500 freestyle, dropping time in both events. “State this year was really special because not only did I personally finish my high school career on such a positive note, I was able to share such special moments with everyone else’s personal and team accomplishments,” Tunney said. Jayci Scheff, senior, swam the 200 IM, an individual event and placed 24th. 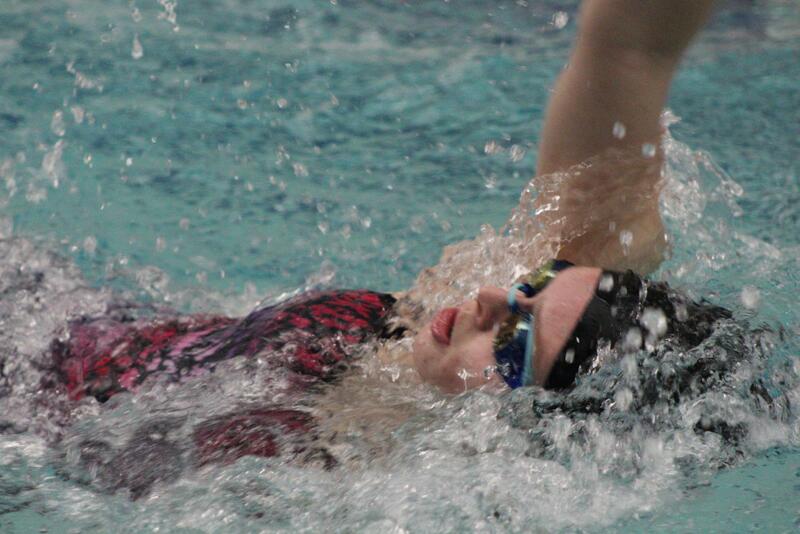 She was also a part of the 200 medley relay along with Tunney, Cat Seiberlich, junior, and Bella Magee, freshman. “My original goal for this season was to make it to state not only on relays but also to qualify for my first individual event at state, and I’m happy to say that’s what I accomplished. 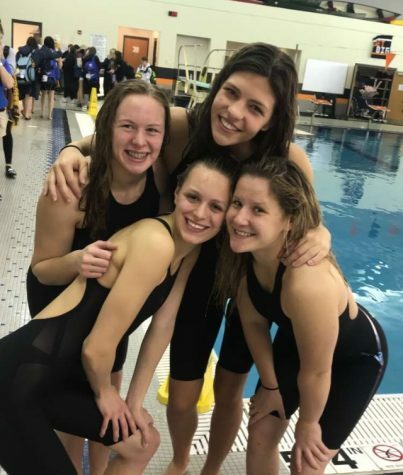 I’m very happy with our relay’s performances because originally we didn’t even know if we would make it to state,” Scheff said. 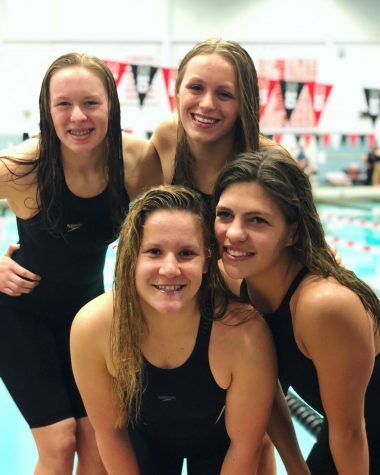 All the senior 400 free relay dropped a second from their best time at sectionals and consisted of Tunney, Katey Van Vooren, Esther Zelenovskiy and Scheff, taking 19th place. “State was amazing. My favorite part was walking into the pool area for the first time and seeing ‘ON WISCONSIN’ tiles on the wall signifying to me that I actually made it, the moment was surreal,” Van Vooren said. “To be able to swim with three other seniors (who are also my fellow captains) was truly an amazing experience that I will never forget. 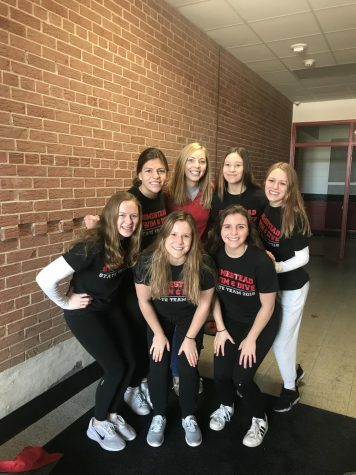 It’s bittersweet but I’m so grateful for the past four years I’ve had on this team and I can’t imagine having ended my swimming career as a Highlander in a better way,” Scheff said. The team captains pose for a picture at the Natatorium Pool in Madison. The girls huddle around their coach before heading off to the state meet. The girls pose for a photo after the 400 free relay, the race where they qualified for state.